Usually ships within 3 to 4 days. Ships from and sold by LeilaLove. Gift-wrap available. 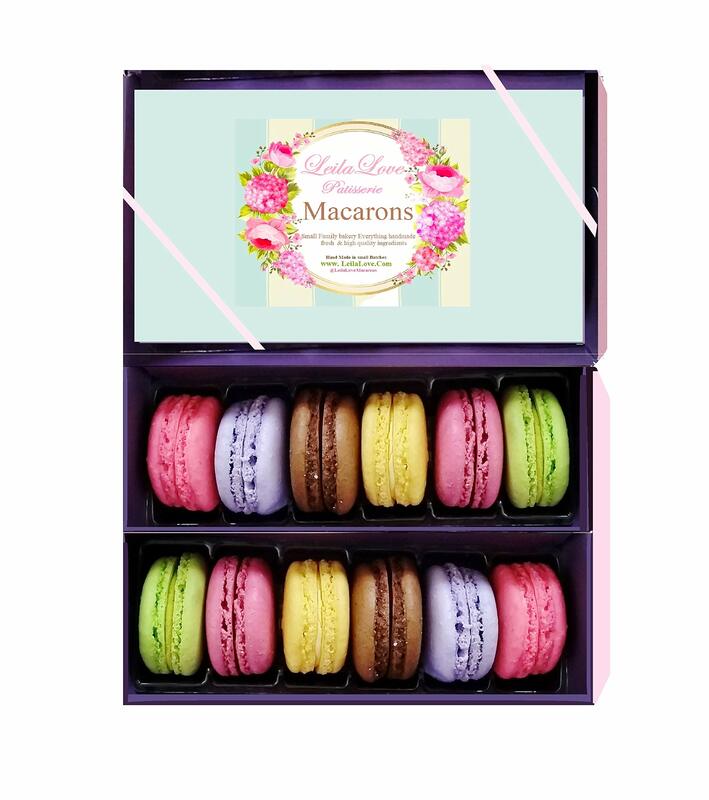 Amazon's Choice for "laduree macarons"
Ships from and sold by LeilaLove. 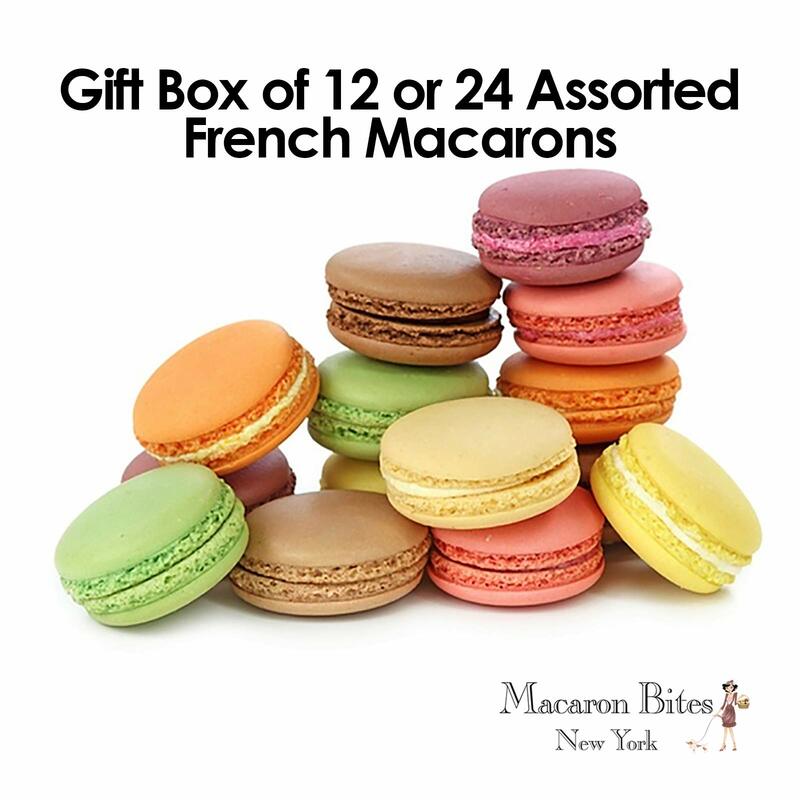 Macaron Variety Box by Award Winning French Bakery Le Parfait Paris. Includes 12 Flavors, All Natural Ingredients, Guaranteed Fresh and More! 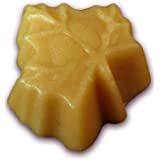 100% Pure Vermont Maple Sugar Candy - 50 1/3oz. Leaves: Over 1LB! The box had arrived earlier then it was excepted. Amazing aroma and taste. 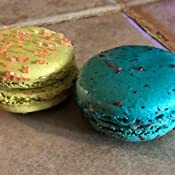 Only two macarons were cracked. 5.0 out of 5 starsA Happy Customer! The order delivered earlier than expected = Yayyy! 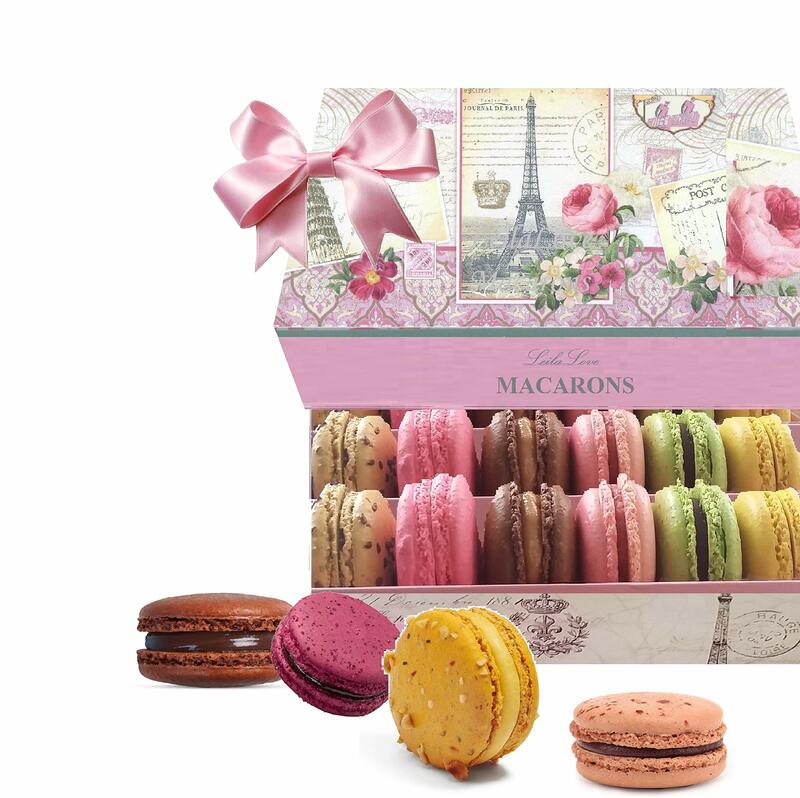 All Macarons were perfectly intact -- packaging brought its A-game! No, seriously. Lotss of bubble wrap. I've eaten 3 so-far and they were (in my opinion) delicious! Very sweet. Such colors. Many wows. 5.0 out of 5 starsThe best!!! 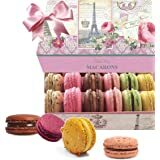 Having just returned from Paris with a lasting memory of the best Macarons that we have ever had, we decided to splurge for a memory to bring us back to Paris. Boy did this not dissapoint! We were amazed at the variety, sharing every piece of a surprise with each bite. My favorite (rose, which happens to be my husbands least favorite) was exactly as i remembered it being my favorite in France. 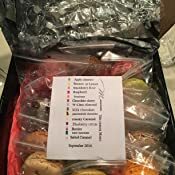 Especially Loved the personalized note with the family touch that was put in by this family down to every detail with individually wrapping each piece in a spall plastic ziplock. Amazed at how many flavors there were with a navigation chart. We will definiately be reordering these again!! 5.0 out of 5 starsYou will *not* be disappointed! These are both lovely AND delicious! These are lovely, tasty, fresh and flavorful! My order arrived several days earlier than estimated by Amazon, which was an unexpected surprise! 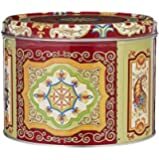 I will definitely be ordering more for end of the year teacher’s gifts and birthday gifts for family and friends in the very near future! 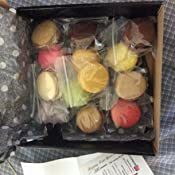 Excellent presentation and generally well packaged, even though several of the macaroons arrived cracked from shipping damage. 5.0 out of 5 starsCravings addressed! Yummy and delicious! 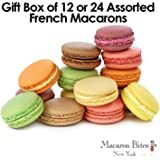 Found about macaroons at the Paris buffet in Vegas. Got hungry for some only to find no one has them in the town where I live except one French bakery. Bought some and was not in love with them. Went to my go to place, Amazon, to find exactly what I wanted and found these. They arrived in one day in beautiful condition and taste wonderful. Not all jumbled up as shown in another rater's photo. Individually wrapped. Accompanied with a nice handwritten note from Leila. I'd order these again. The list of flavors is hard to identify the actual cookie; chocolate mint for example, as there are several chocolate ones in there. Perhaps if they were packed in order of the list or a color dot on the package for each cookie that matches the dot on the page? Otherwise, no complaints! 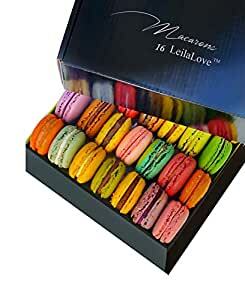 Just received my first box of macaroons from LeilaLove.. they didn’t make it to the refrigerator as suggested without a tasting.. delicious!!! 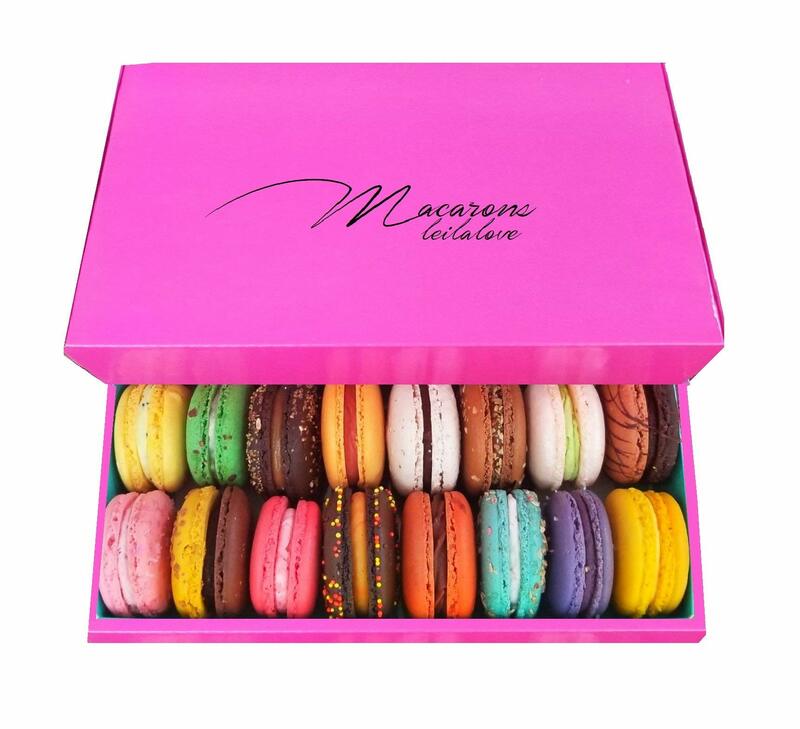 *Box is beautiful and they (EACH macaroon) is protected by being packed in individual zip bags with bubble wrap around each one, plus a big piece of bubble wrap and paper on top! *They look beautiful and taste heavenly. *Included is a key telling what flavor each color is. 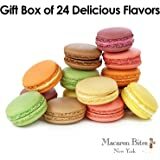 This is somewhat helpful, but it’s really difficult for me to match macaroons to colors on key. 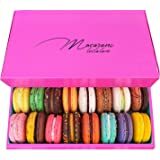 ( might be helpful to make specific maps for each kind of box, so each box of a certain number of macaroons would have the same flavors and they would be in the same order as on the map/key) So I’m not sure what flavor the reddish one I ate was! But it was good! THANKS for a wonderful treat! 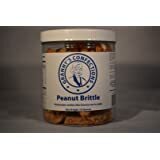 I bought this as a reward to myself for having recent ankle replacement surgery... yummy! 5.0 out of 5 starsNOM!! After watching the Great British Baking Show my husband and I were intrigued by these very foriegn cookies (to us at least).These are wonderful and delicious!! They are both light, crunchy and chewie. 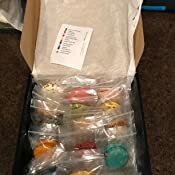 While all the flavors were not our favorite i do recommend getting a variety box to start with to see which ones fit your taste. The artist/baker even writes sweet handwritten notes in every box. I cannot recommend more. Buy these cookies. NOM!